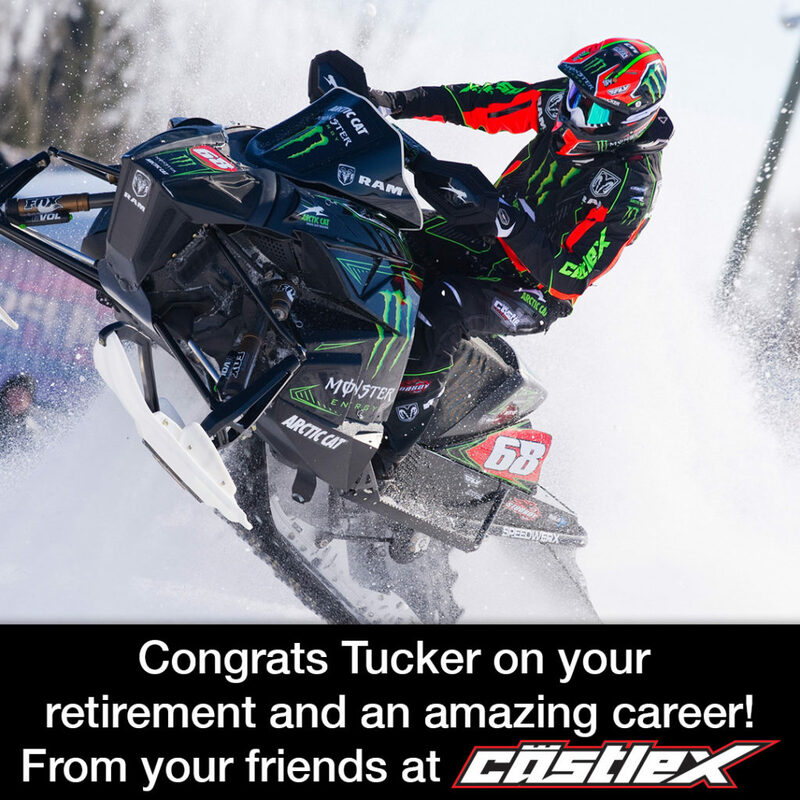 We’d like to send Tucker a huge “Congrats” on an amazing career! This statement reflects an unfortunate reality. It is extremely easy for a motorcyclist to fall under the radar until it’s too late to prevent an accident. The good news is that there are steps you can take to improve your visibility and therefore increase your safety on the road. You want other motorists to see and be able to avoid you, so stay out of their blind spots. In theory motorists should look over their shoulders when turning, but don’t hold your breath waiting for that to happen. Leave enough distance between yourself and the other vehicles to maneuver away from sudden danger. The worst place to be is directly alongside a car. When passing cars, stay as far left as possible to give yourself as much room as you can in case the car suddenly changes lanes. When driving at night, turn on your headlights to maximize visibility. Some riders opt to also use their high beams during the day to make themselves easier to spot, but make sure that you’re not in a position to blind oncoming traffic. High beam use should even be judicious at night, especially if you are squarely facing oncoming traffic or have high-intensity discharge bulbs. Headlight modulators enable your lights to flicker or pulse in intensity. Although legal in 50 states, their use is governed by federal law. When used properly, they can increase visibility. Many motorists find flickering annoying, but in situations where visibility is compromised, safety takes priority over someone else’s comfort. If you’re being followed too closely by another motorist, making it impossible to maintain a practical safety zone around your motorcycle, you can lightly tap your brakes to power on the brake lights. If the other driver doesn’t take the hint and slow down, your best set is to leave the lane safely and get out of their vicinity. Whenever possible, you should also flash your brake light before you decelerate. When you warn other drivers that you’re preparing to slow down, you give them time to do the same. Wearing bright and reflective safety gear is a simple but effective way to stand out visibly. Buy brightly colored riding jackets and pants, and look for apparel with a reflective finish. Some biking apparel comes with reflective properties that are only available at night, adding an extra dimension of safety to riding after dark. If you don’t have reflective gear, you could purchase some reflective tape in neon colors and apply it to your helmet, jacket, and even saddlebags. Let’s face it: cars and trucks dominate the road and are used to looking out for vehicles of similar size. Motorcycles are rarely on their radar, so maintaining visibility is important when it comes to your safety. Catching driver attention is the best way to avoid a collision, so follow these tips to share the road more safely. This article was created by Personal Injury Help (www.personalinjury-law.com), an organization dedicated to providing the public with information about personal injury and safety information. Nothing in this article should be construed as legal advice, and it is intended for informational use only. Be sure to review your local ordinances to ensure you ride safe and legally. Check out AmSnow TV – Season 4 Episode 2 Here!